The Blu-ray Disc Founders group is re-incorporating and forming the Blu-ray Disc Association, it announced earlier this week. The consortium said it will invite companies from a wider range of industries to play a part in the development of the emerging DVD format. The original group of 13 companies consisted of consumer electronics, PC and storage makers: Dell, Hewlett-Packard, Hitachi, LG Electronics, Matsushita Electric Industrial, Mitsubishi Electric, Pioneer, Royal Philips Electronics, Samsung Electronics, Sharp, Sony, TDK and Thomson Multimedia. "We recognized the need for a broader input and strategic help from players such as content providers, studios and software makers," said Maureen Weber, a general manager at HP and member of Blu-ray Disc Founders. "We're responding to criticism that we needed to be more inclusive." Weber added that a group separate from the Blu-ray Disc Association will collect royalties and licensing fees. The terms of those fees and who will gather them are still being determined. The Blu-ray backers aim to make the technology the widest-used format for high-definition optical storage, in hopes of capitalizing on the growing use of digital content, and as high-definition television begins to take off. Membership applications to the new association will be available in the summer, and the first meeting of the re-formed group is planned for the fall. In the interim, the Founders group plans to host a conference in southern California. The June conference will showcase Blu-ray features now in development, such as content protection and interactive applications. Another industry association, which includes Toshiba and NEC among its members, has been working on a competing disc technology, now called HD-DVD. That technology claims to be compatible with current DVD standards. 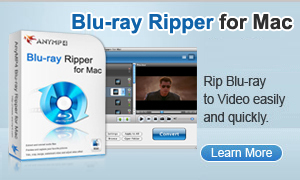 The Blu-ray Disc format uses blue-laser light and is considered a potential successor to today's red-laser DVD technology. Blu-ray Disc technology allows up to 27GB of storage on a single-sided disc, compared with 4.7GB on current DVDs. A rewritable disc with a dual layer on the same side that holds up to 50GB of data is being developed by the group. In addition, read-only (BD-ROM) and record-only (BD-R) formats are expected to be available in the summer. Products using the BD-ROM and BD-R formats are set for release in the second half of 2005. The rewritable Blu-ray format has been available since February of last year.